Welcome to my blog! I’m Marcomé pronounced, “Mar-Ko-May.” We’ve been debating whether the genre in which my melodies fit is “new age,” or “ambient.” Feel free to weigh in with your vote! But perhaps you are a new fan. Want to learn more about my background and musical training? Well, you’ve come to the right place. The Seven Seas album was actually my debut record. It was released in 1995. I mainly use keyboards, fretless bass and traditional world beat instruments while layering [my] vocals over the pieces of music. 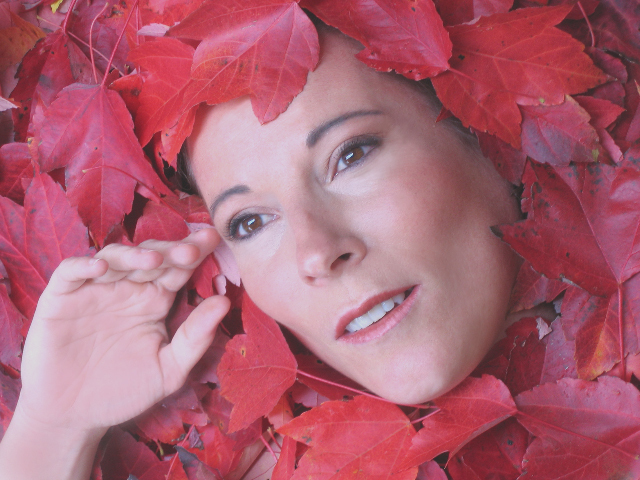 Marcomé also creates her own languages by using various poetic devices. From this she gets a new and fresh vocal and musical sound. In 2001, Marcomé was asked by Bruno Pelletier to take part in a conceptual concert “Carte Blanche à Bruno Pelletier” at Montreal’s Francofolies, along with Maurane, Nathalie Choquette, Nanette Workman, and Louise Forestier. But you should listen for yourself. What emotions arise when you hear Marcome’s music? Does it bring up memories? Inspire you to good health? Please let me know! Estimada Marcome ,te escribe un mÚsico desde Chile,me gustó tu voz y la frescura de tus canciones,me relajan y me muestran paisajes en los cuales quisiera estar. 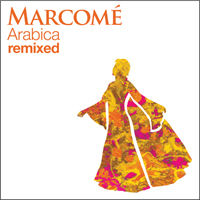 Hi Marcome, how about Ambient New Age? :-) Btw, I love Yeku and Librarsi. Your music stirs imagination, relaxes…it’s soothing and uplifting effect is so efficiently curing for my soul that after the first 3-5 minutes of uninterrupted listening each time I feel reborn Marcomé…Thank you from the bottom of my heart constantly healed by your art…. Dear Marcomé!! This day may become the day of Therapy music beginning in your creative way. One day i have listened to such composer as Gheorghe Iovu, he’s composing at the Therapy new age style. He’s Romanian but is known in Europe and America. You can listen him at myspace.com, he has the page there that include eight tracks. To create this music is strong healing wave coming through you when you understand that you’re music doctor. Let think about healing around the world – and you’ll create the sounds repeated your thoughts in music. It’s my imagination of it. What do you think about such kind of music as Music for Sleeping that can ice our dynamic activity and bring the total Peace? 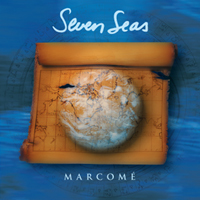 Great thanks, dear Marcomé, for strong healing effect influenced to me with SEVEN SEAS and RIVER OF SOUL!! One morning they give me Spirit Peace, Inspiration and Cheer desire to do something good and creative. Guess that healing nuances are included in your music waves. It’s as naturally as Daylight shines to us! My great and heaven thanks for such spiritual effect that became more than material one!! I felt healing exactly as my twenty fingers! What do you think about creating new therapeutic albums?? Great thanks for such wonderful words, dear Marcomé!! Now I must say about witness related to healing influence of SEVEN SEAS and RIVER OF SOUL to me. It was unbelievable but they brought me spirit Peace, cheer Desire to live and make something good and creative. Before the listening i felt spiritually empting and had no ideas to live at that day. The healing effect was giving me calmness and new Spirit Power!!! I seemed that the day began again at 11 a.m. So I must say about strong therapeutic effect of SEVEN SEAS and RIVER OF SOUL. Sure that you can create musical therapy waves, sure it’s so naturally as the Daylight that shines us. What do you think about World Therapy music wave?? 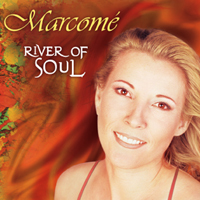 Dear Marcomé, from my side my personal thanks for RIVER OF SOUL. I remember one morning when i felt tired by unknown reasons and have no inspiration for that day. I decided to listen to RIVER OF SOUL. After the one and half listening to of this wonder i felt unusual lightness, inspiration and cheer desire to make something good and creative. The healing effect was getting calmness by me, internal peace and wanting to gift nice things to everyone. So spirit health as non-material effect materialized. It was incredible and wonderful! So now it’s time to say you heavenly THANKS for restoring people nature, in this case – mine:-) So you can create therapeutic music, I think you can create in this direction, how do you think?? IMHO one can’t say about all your creations at the same time but about every from them separately and individually. In this way it’s very right step to edit ARABICA and RIVER OF LIFE like remix albums. These and not only these tracks are worth to be listened to with exclusive attention to every from them. My favourite tracks are TERRA AFRICANA, RIVER OF LIFE, THE WORLD IS SINGING, TWITTER ME SOME LOVE, NOSTRIE TIEMPO. What about the feelings, I feel myself as the connected part of world and related to all our planet at the same way as the men whose voices are seemed at songs. So i would like to transform NOKIA’s brand logo: MARCOMÉ – CONNECTING THE PEOPLE:-) Thank you for what you do! Antony. Wow! I love your ideas and comments! Tks so much for bringing light in those days of healing for me right now. Love to you sweet Antony! My large thanks to you, dear Marcomé, for giving us the masterpieces that are the synthesis of world, meditative and new-age nuances:-) My cheer wishes to bring your music to every corner of this world, to Arctic and Antarctic lands, to Australia and America, to Europe and Africa! Peace and prosperity to you! Music is the language of the soul. The more you sing and listen to music the happier you become, so sing along with Marcome! I hope your voice is feel top notch as you are. Thanks for sharing all you do. Your beauty in spirit, your glowing face inspire me. I am so grateful to have you as a dear friend. Myself, my immediate family, my extended family, and friends, have been thrilled to finally find you on-line. Keep up the great work and know that you have many fans out here spread far and wide. All the best to you and your clan at home. Kind regards.